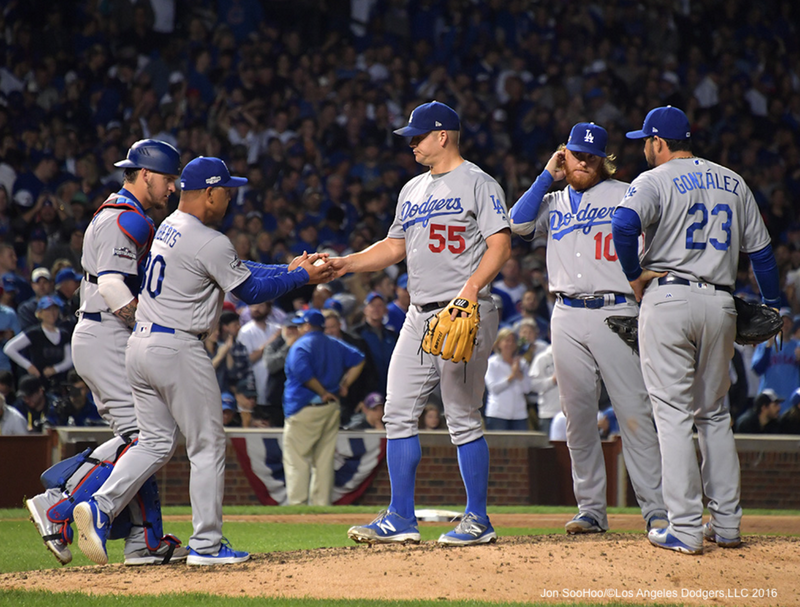 Increased innings for Dodger bullpen: Oddity or trend? The Dodgers took relief to an extreme in 2016, with their bullpen pitching the sixth-most innings in baseball history. They were also the rare team that was successful while so reliant on their relievers. 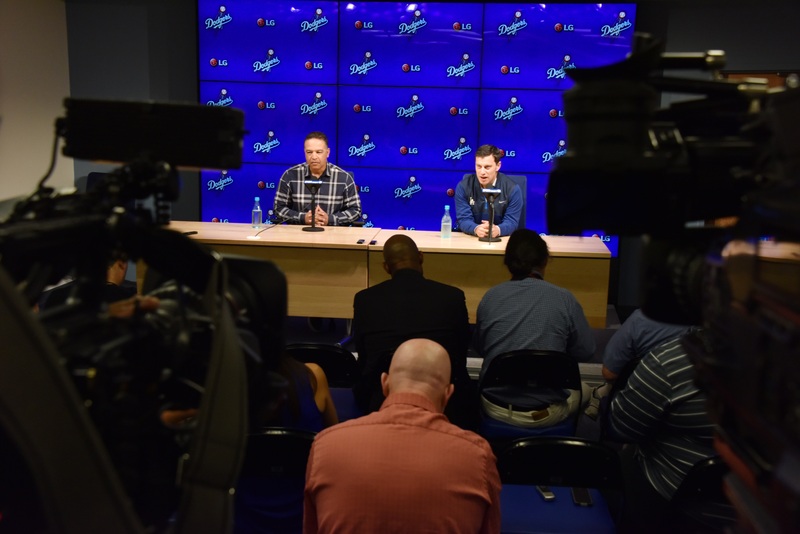 During the Dodgers’ season-ending press conference October 24, president of baseball operations Andrew Friedman said the bullpen usage was a result of a number of factors, including innings limits on some pitchers and an exorbitant amount of injuries. 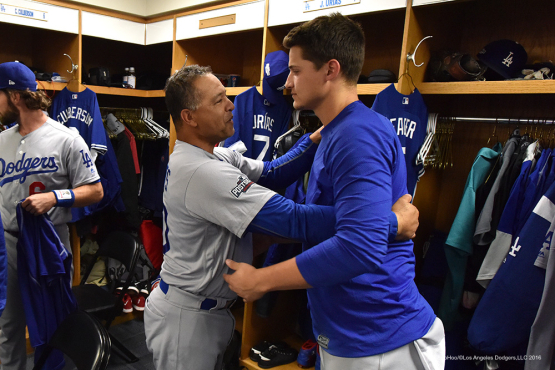 Basically the Dodgers’ 606 pitching changes were made out of necessity. 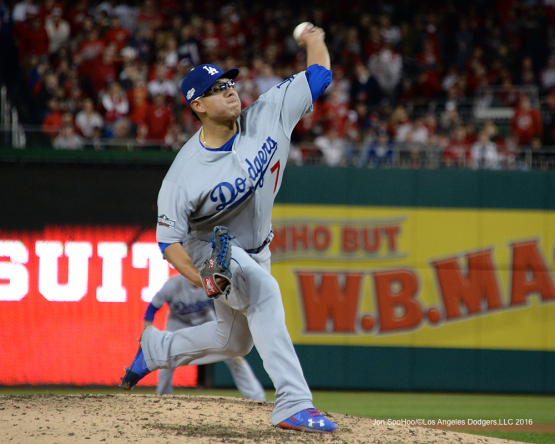 “I think our bullpen was a strength,” Friedman said. 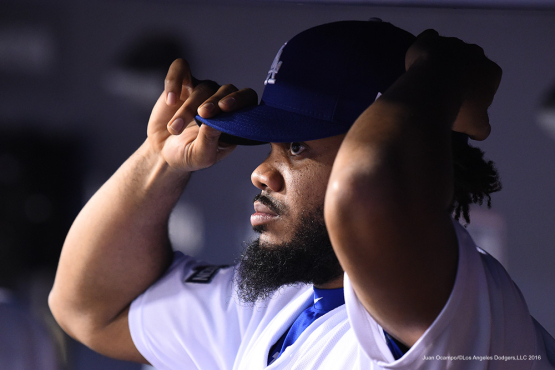 “It was really deep, and we had some things going on in the rotation — it was all about Doc (Dave Roberts) and Honey (Rick Honeycutt) just trying to win games. … We weren’t trying to start a trend, but we’ve seen (bullpen usage) evolve a little bit over the last 20 years, obviously that ties in some to starting pitching. 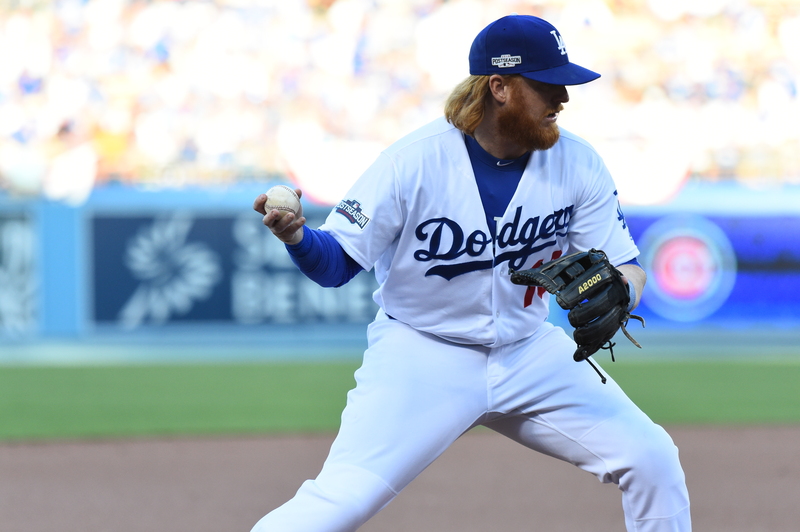 Justin Turner could become the first Dodger third baseman to ever win a Rawlings Gold Glove Award. Turner was named a finalist today, and he makes a strong argument for the award. Among National League third baseman, Turner ranked first in Fangraphs’ total defense stat at 16.2, well ahead of Washington’s Anthony Rendon who was at 12.9. Turner was second in the Majors in the stat to Texas’ Adrian Beltre (16.5). He ranked first in the Majors among all third baseman with a UZR/150 (a defensive run value scaled to an average number of chances for a season) of 17.2. Turner was third in defensive runs saved (seven), behind Colorado’s Nolan Arenado’s 20 and Rendon’s eight, also according to Fangraphs. Among qualifying third baseman, his nine errors were tied for the lowest with Miami’s Martin Prado and he tied for third with a .972 fielding percentage. 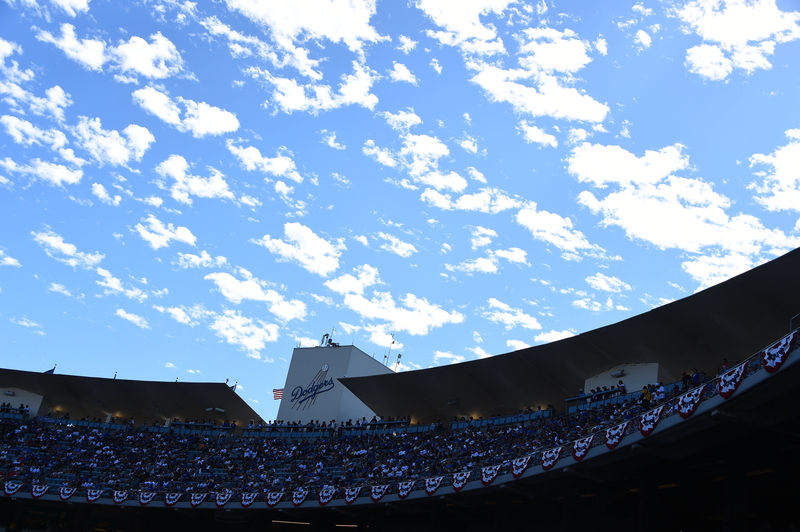 Your favorite team loses in the postseason, but you don’t want to stop watching baseball. So you pick a team from one of the leftovers — and that team is definitely not the one that beat your team. Yet I root for the Chicago Cubs in the World Series. Not because of the obvious — although that history aspect is pretty cool. I root for the Cubs because of Michael Montgomery. 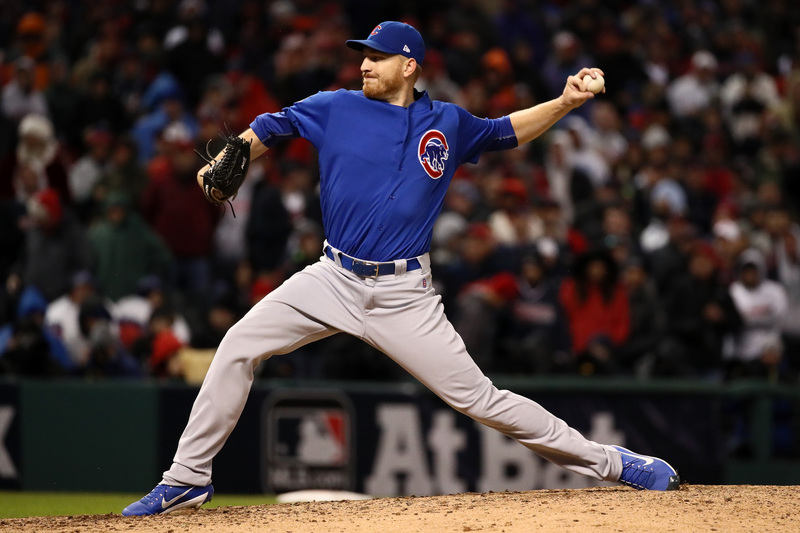 Check that — Mike Montgomery. I’ve always known him as Michael. 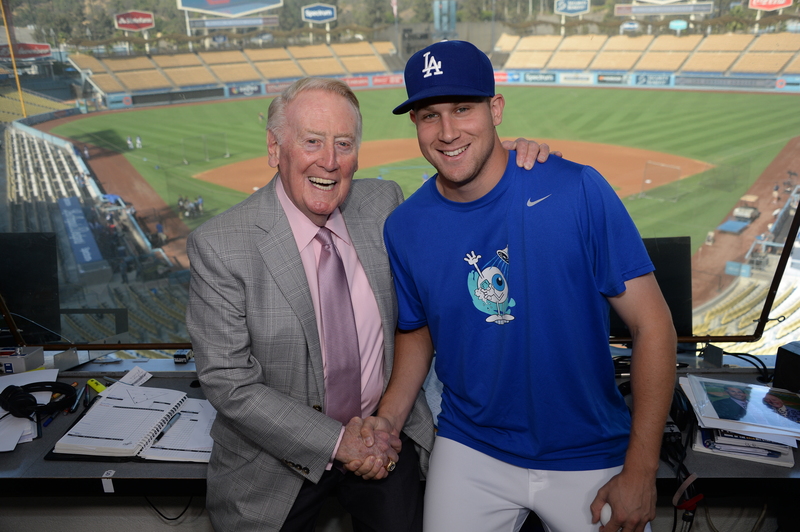 We both graduated from the same high school — Hart High in Newhall, Calif. — although it was 10 years apart.